Cork Pirate Radio has been listed on these pages for many years. But like the time when the book on the Waterford Pirates was published, we generally felt our pages here could do with a spring clean up, and upgrade. So for Waterford, we did just that, and added many / most of the audio recordings in our archives. But when the Cork book was published last year, it left us with a very outdated looking few pages that we have on the stations of the city. Sure, a couple of years ago, Youghal and NCCR had their pages upgraded and recordings added that we have in the archives. But the city stations pages remained as they were... Until now. This page is intended to be the starting page for the pirate radio stations that flourished in the late 1970's / 1980's in the Cork area, and the surrounding districts. Much is written from a long distance radio listener's point of view, often called a DXer, and is written in much the same style as the Waterford page. Indeed the Cork book is also written in much the same style as the Waterford book. That style may be described as separate short stories / chapters all combined to create a 200 page book. In Cork during these earlier days, many of the stations announced a wavelength very different to what they were really on!! The strange world of frequencies was barely mentioned in the Cork book. Perhaps with good reason, if frequencies were not really known, except perhaps by the engineer.. The times I have heard presenters announcing things like 846 metres mw, or 1602 metres....lol... That 1602 was a temp station run by an ILR station who should have known better!! I do wonder if the frequencies listed on some of the recordings are accurate, or a best guess? Many seem to be really off channel. Many are listed post November 1978 as pre November 78 frequencies. Were they on the old channel, eg CBC 1394kHz, or was it really 1395. We of course have no way back button, to listen out for night time hets with the strong Euros, which would prove a point. By Autumn 1980 though certainly CCLR was coming in to Scotland off channel around 1119 / 1120. Even in 1981, using a Grundig Satellit 3400, a bang on frequency readout was not possible. It did read slightly out, and you had to judge as best as possible. As a further thought about Irelands second city. I wonder why Dublin produced most of the SW pirates? None of the Cork enthusiasts ever did any SW hobby broadcasting as far as I can remember?? Bar a South Coast brief transmission in 1983. The first upload of this section in January 2016 hopefully will just be the start of more work in progress. And remember, input to this section of the dx archive is more than welcome!!! Some of my own memories are not quite as reliable as they once were after 35+ years have passed. But do have a browse through this part of the dx archive, and I am sure you will find many memories of the radio scene from half a lifetime ago. Click the link below, where you can download some or all of the related audio files, and bring the 70's and 80's pirate stations back to life!! ABC Cork was one of the early trio of stations in Cork. Not much is known about ABC Cork, but they were on the air in 1978 - 1979. Radio Big Brother was one of the early stations in Cork. Only one recording is known of, and no station material was ever seen. 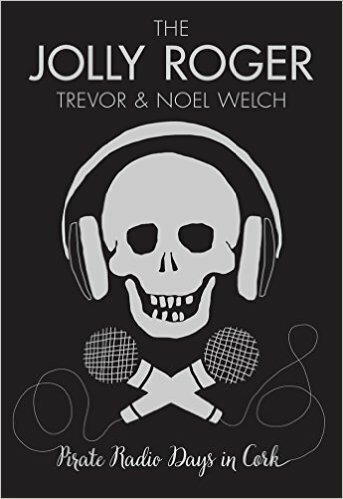 The station was not mentioned in the 2015 book, The Jolly Roger. The one broadcast that we have a tape of from New Year 1981 may have been one of only a few??? Who knows? The CBC was one of the early pirate stations in Cork, and was on air in 1979 when DS visited Cork, though it was off air by August 1981. Cork City Local Radio began as Cork City Radio. CCLR was on air during DS visit to Cork in 1979. The station was heard in the UK during 1980 off frequency on 1119kHz approx, and on 1131kHz during a visit in April 1982. Capital Radio was on the air in 1979 during DS visit and also still on air in Octoberer of 1981, heard in Scotland on 5th harmonic of 6525. Radio City we were told was formed by some of the best pirate broadasters in Cork at the time. This station we are lucky enough to have a recording of the last day of test transmissions, and a recording of the first day!! It was also unique in the fact that the frequency it was on, 1512khz, was the frequency it really was on!! Radio City used to be heard in Scotland at night. Radio Caroline Cork was having severe transmitter troubles when we were in Cork in 1981, but was heard in later years on 1560khz MW. The FM only distorted signal we heard in August 1981 was obviously a temporary malfunction. We seem to have very little audio from Radio Caroline Cork. South Coast Radio began operations around 1982, and at the time was putting some good night time MW signals across in the UK on clear channel 1557. Many of the former offshore presenters went to work at both South Coast and ERI. ERI began life in the picturesque seaside town of Ballycotton. The signal in Scotland on 1305kHz mixed at night with that of former clear channel Boyneside Radio in Drogheda. By 1983 they had moved into Cork city and were a major player on the airwaves of Ireland's second city. The MW transmitter had been upgraded to a 5kw professional tx. WBEN was heard in the UK on their MW frequency of 1386 from time to time in the mid 80's. This was dx quality of course, as the frequency had many mw transmitters on it. It was also a very poor night time frequency, due to Radio Moscow and their high powered transmitter at Kalliningrad. Not a lot of information available on this station either, but two recordings were made by gh of Leeside Community Radio. Andy Hewkin reports the newsreader at 4pm is Ian Richards, who joined ERI in 82/83. Community Radio Youghal had their pages upgraded in 2014, which included posting the audio recordings of the station that we have to hand. CRY was well heard in outside Ireland on 1512kHz at night in 1980, for the late night radio shows. Not a lot of info exists about Middleton Community Radio, which never seemed to be on the air when passing through, except twice for gh, when he recorded these two short clips that sadly don't have a full ID, but at least he says MCR and has ads in Middleton. NCCR had their pages updated in 2014 with the recordings and photos which we had available. They were well heard in the mid 80's in the UK on 1386kHz when they had an Irish made transmitter installed. WKLR used to be a dx possibility in Scotland on 1503kHz, heard below / mixing with the BBC on that frequency. During my visit in 1986, entry was refused.